Those who lamented the disappearing act of Garland Jeffreys, one of rock’s most compelling voices, must feel that his recent surge in activity (this is his third set since 2011 — the same total he racked up in the 15-year span from 1983-‘97), decidedly removes him from the where-is-he-now dustbin. Better still, the 73-year-old singer-songwriter’s burst of activity shows him in fine fighting form with music that continues exploring his past, a consistent theme throughout his career but even more pertinent as he enters his final stretch. As this album’s title implies, and anyone who has followed his career knows, Jeffreys is a distinctively New York City-based artist. The locale is as much a part of his overall vibe as it was to his longtime friend Lou Reed, whose “I’m Waiting for My Man” he covers here in a tough, street-worthy performance. Reed’s wife Laurie Anderson contributes subtle violin to the sweet closing ballad “Luna Part Love Theme.” The wiry island lope of “Reggae on Broadway” combines Jeffreys’ gritty NYC rasta approach — something he has brought to each of his albums — with his story of the Clash’s Joe Strummer coming to see him play when that band was in town. Jeffreys’ multi-cultural racial mix (Puerto Rican/black/white) has always provided lyrical fodder for his music and that continues in this disc’s emotional ballad “I’m a Dreamer” (“When I was growing up in Brooklyn town/ all my friends were black, white and brown”), the jaunty/pop radio-ready love song to his wife/manager in “Spanish Heart,” and the bluesy lope to “Colored Boy Said” (“I got a president who looks like me”). While Jeffreys’ lyrics occasionally edge toward one-dimensional (“Oh family is the greatest thing ever invented” — did someone invent family?) in the reflective, equally simplistically titled “Time Goes Away,” his supple voice is immediately recognizable. It’s his calling card, as youthful now as it was on his 1973 debut, and it gets him through some of the clunky passages. A beautifully and creatively rearranged take of The Beatles’ “Help” with perfectly placed accordion is not only a highlight, but one of the most moving, emotionally scarred versions of that seldom covered track. And even though we could use a few more tough, switchblade rockers like the opening “When You Call My Name,” and the roaring back-alley bluesy rockabilly of “Schoolyard Blues,” complete with pummeling Little Walter styled distorted harmonica, Jeffreys is clearly energized here. He’s unlikely to top 1977’s still-classic Ghost Writer or 1981’s Escape Artist breakthrough (recorded with members of the E Street Band, Graham Parker’s Rumour and Reed guesting) anytime soon. 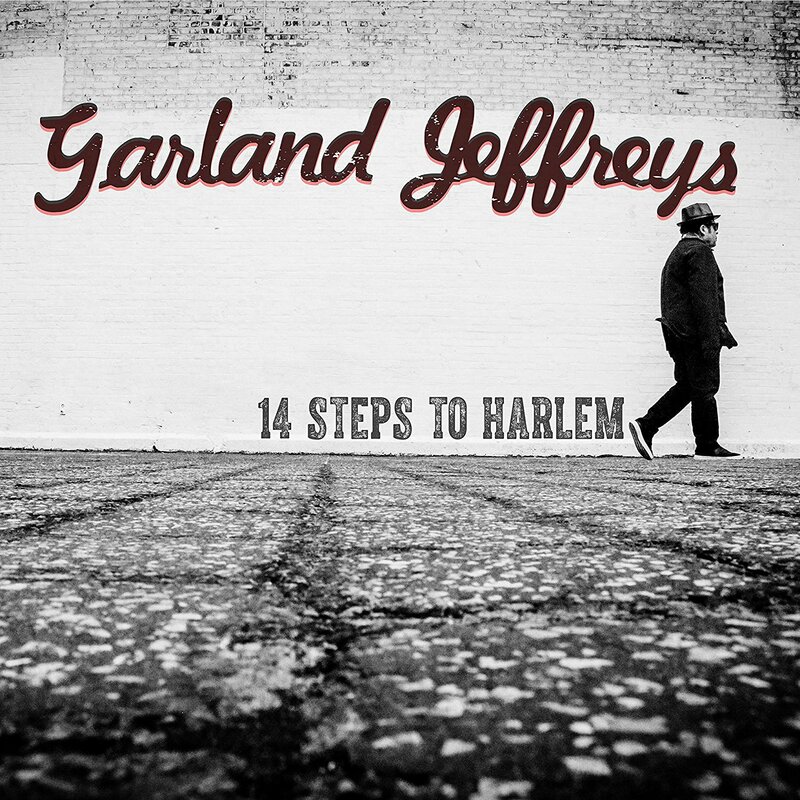 But if Garland Jeffreys can keep cranking out music with the quality, hard-bitten authenticity and integrity of the impressive 14 Steps to Harlem, perhaps he can attract new fans to explore his earlier work while he makes up for lost time.